“Medea” is exactly the kind of a record to go with a cup of morning latte after hard night out. Not distracting the neighbours and in the same revitalizing the strained body. A whiff of dub and delicate groove make “Nostalgia” the most pleasing cut of the twelve. Despite of dramatic title, “Your Suffering Is Mine” keeps a restrained mood while “Deleterious” rolls along with acid bits. 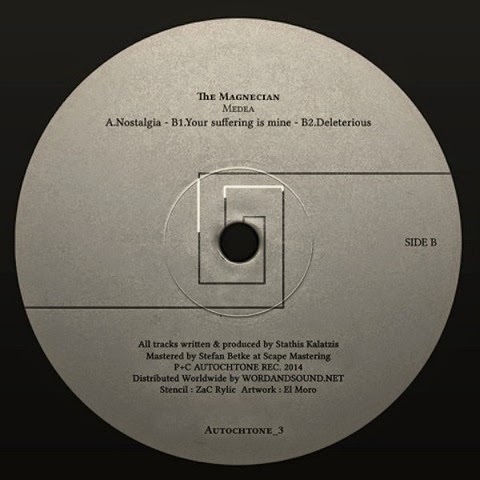 The three-tracker mastered by Stefan Betke aka Pole comes from The Magnecian, which is an alias of Greek producer Stathis Kalatzis, so far primarily known as Mr. Statik.